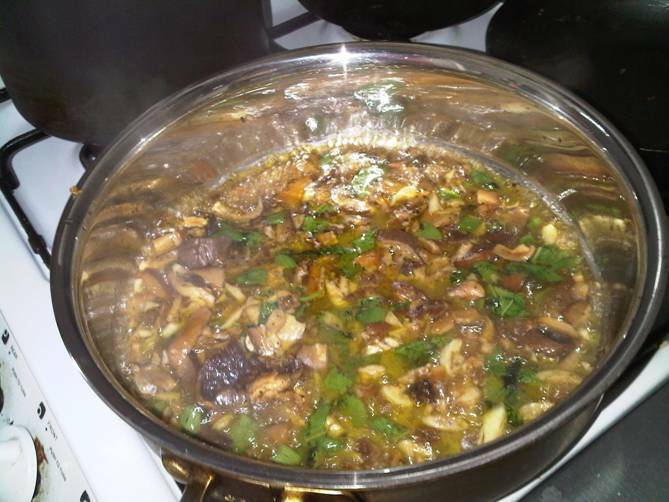 Reconstitute the mushrooms by simmering in a bit of water (or if you have some lead-time just let them soak. 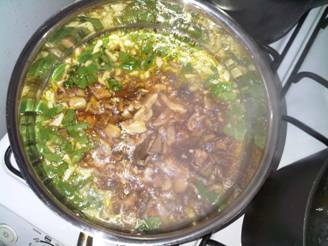 Do not through away the water the mushrooms are soaking in as because the water harbors the boldness of the mushrooms after reconstitution. 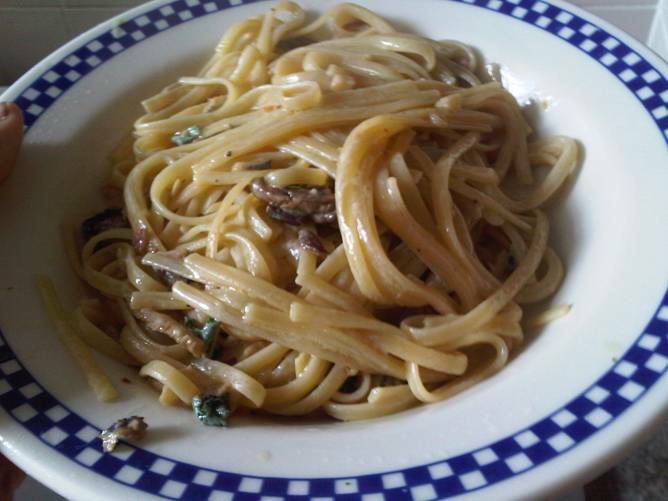 Also if the mushrooms are larger trumpet or another type of larger mushroom, dice them somewhat–but not too small. 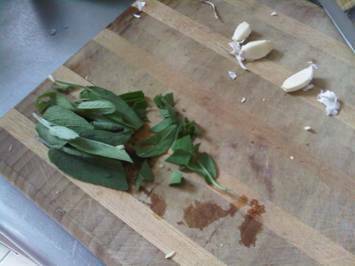 Chop up sage leaves and mince the garlic. 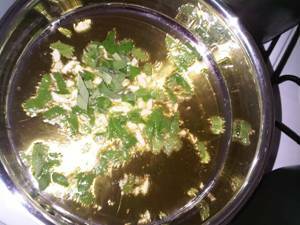 Put olive oil in the pan and lightly brown garlic. 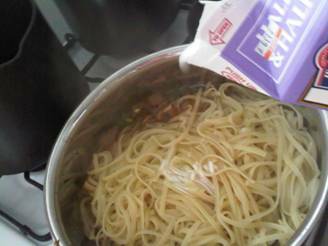 Be careful not to burn the garlic. 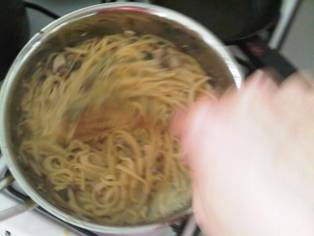 Toss in the sage and a bit after that throw in the mushrooms along with their water. 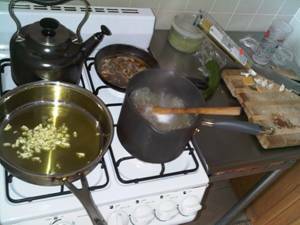 Cook to let the flavors combine and reduce slightly. 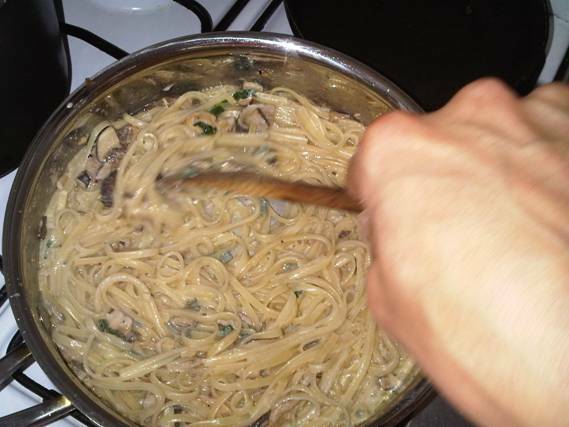 Take your al dente linguini and add to pan and quickly hit the pan with a bit of half n half and stir. 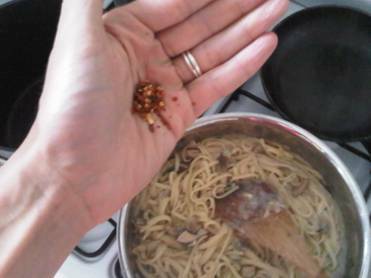 Cook about 1 minute to let the sauce settle into the pasta and add salt, pepper and a bit of red pepper and serve it up!